“I’m waiting for a call”, said one of the attendees at Wine Bloggers Conference, “or a text”. “About the right bus for the today’s winery excursion”. One of the main staples of the Wine Bloggers Conference program is so-called Excursion. 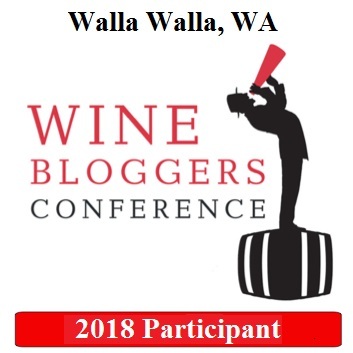 The agenda item, titled at WBC14 simply as “Excursions into Santa Barbara County Wine Country”, was an object of discussion, agitation, frustration, and many other “-tions”. The whisper in the air was insisting “you have to get on the right bus”, or else. Supposedly a few attendees, mostly veterans, such as 1WineDude, knew what bus was the right one. So the task was to follow the people who were “in the know”, and get on the right bus with them. And there was also fear. A fear to get on the wrong bus. Yes, you can laugh all you want, but you know how most of us are afraid to miss out on something special and be left (ahh, horrors!) out of the supposedly exceptional experience – in this case, we could get on the wrong bus and end up at the winery, which wouldn’t be “the right one”. When I came out shortly before the excursion time at 5 o’clock, I only caught a glimpse of 1WineDude, disappearing in the “right bus”. I should’ve taken a picture of the crowd, waiting to get on the “right bus” – probably all of the 400+ conference attendees were standing outside, creating a large, impatient crowd. The next person who seemed to know what he is doing was TheDrunkenCyclist. As he was getting on the “right bus”, the only way for me to join him would be if I would have a practical experience of dealing with Japanese subway at the peak hour, which I don’t have. Thus the next “right bus” was missed again. At this point, my only desire was to get on any bus, but at least with someone, I knew (SAHMMelier). When we got on the bus as part of a group of 20 people, I was relieved – at least we are going somewhere. As the bus started moving, two very excited ladies (our guides) told us the name of our destination – Solvang. Solvang? What the heck is Solvang? A winery? Ahh, it is the town related to the movies Sideways. As a matter of fact, it is the 10th anniversary of the “Sideways”. which came out in 2004, and Solvang was mentioned in that movie (nice, but I had no idea). We even were asked to answer 10 questions about the movie Sideways, and the person with the fastest and best response would get a special prize. I dribbled something just to be a team player, but my enthusiasm was not moving. It turns out that Solvang is a small town in the Santa Barbara County which was established about 100 years ago by the group of Danish immigrants (“Solvang” in Danish means “sunny fields”). The town itself looks very different from the most of the typical American towns of the same size of population (about 5,245 people live there based on 2010 data) – it looks like someone simply transposed a tiny piece of Europe in a middle of the Santa Ynez Valley. Colorful roofs, windmill and overall setting more suitable for Medieval Times than for a small modern American town are all the part of Solvang downtown. Going back to the bus ride, the statement from our very enthusiastic guides that we will be visiting tasting rooms was not registering with me. I’m not very familiar with the concept of the tasting rooms outside of wineries, so I’m not expecting anything mind blowing. The bus stops. We are split into two groups and off we go – visiting tasting rooms first, with the dinner following right after. As we started walking, our first stop is the wine bar called Sevtap. We get around the bar counter, the first wine is poured, it is a very nice Sauvignon Blanc. And the gentleman who is pouring the wine is actually a … winemaker! He pours more of his wines, including some which are not even bottled yet, and all the wines are excellent. What I thought to be just a wine bar, in reality, was a winery – and so was the story at all other “bars” we stopped at. Solvang has 18 so-called tasting rooms – each one of them is the winery, with its own winemaker, its own history, and – its own wine. Considering what we had an opportunity to taste, a lot of those wines were outstanding – but, as you can imagine, mostly not available anywhere else outside of that tasting room/winery. Sigh. Now I’m going to share some notes which I managed to scribble during our visits to the 5 different wineries/tasting rooms, plus more wines which were poured during dinner. Here we go. I also learned about the usage of Pinot Gris versus Pinot Grigio name. Grapes for Pinot Gris wines are usually picked up earlier, and then generally fermented and aged in the oak barrels (neutral oak). Grapes for the Pinot Grigio wines are picked up later and fermented and aged in the stainless steel. And … we are still not done here. After visiting all these tasting rooms, our last stop was the Cecco Ristorante for dinner – with more wines. At the restaurant, we had most of the winemakers we just met waiting for us with more wines to pour – we also met more winemakers with more wines. All the dishes, which were served buffet style, were outstanding. Sliders were just melting in your mouth; two different kinds of pizza were delicious; beets salad, always my favorite, had big chunks of delicious red and yellow beets with arugula and mozzarella. Among the wines we tasted, I have to mention the wines from Lucas and Lewellen. Everything we tasted – the Rose, Pinot Noir, Cabernet Sauvignon – were delicious. But – I hope you can forgive me, considering the late hour – I got no detailed notes whatsoever on these wines. 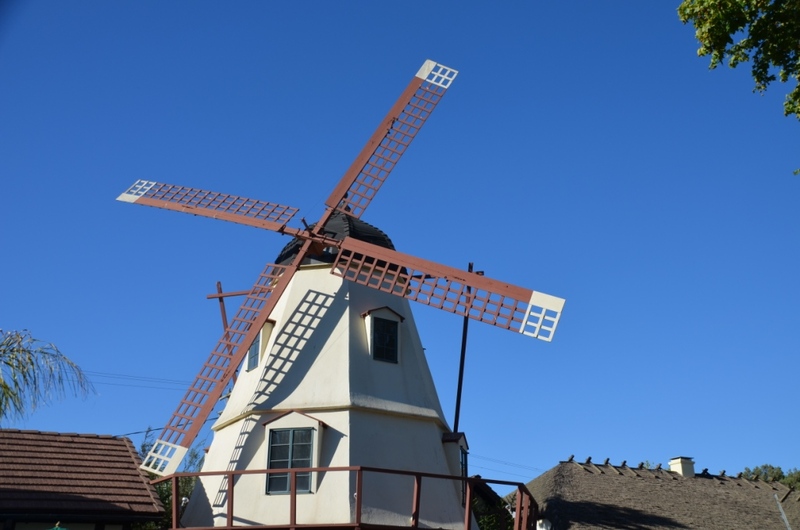 And I can finally conclude this long post about our excursion to Solvang. I’m really glad I missed all the “special” buses and got an opportunity to discover Solvang. We had a great time, met great people and tasted wonderful wines. If your travel will take you anywhere near Solvang, I hope you understand that not visiting it would be the loss you can not afford. Proost! I am taking notes! I lived 40 minutes north of Solvang for a year and we make yearly trips back to SB to taste, but we’ve neglected a lot of wineries in Solvang (though the food and pastries there are just so fabulous). Also, I need to get in on this conference. A+. Thanks for the comment! Visiting Solvang was definitely one of the big highlights of the wine bloggers conference, I’m glad I had an opportunity to experience it. 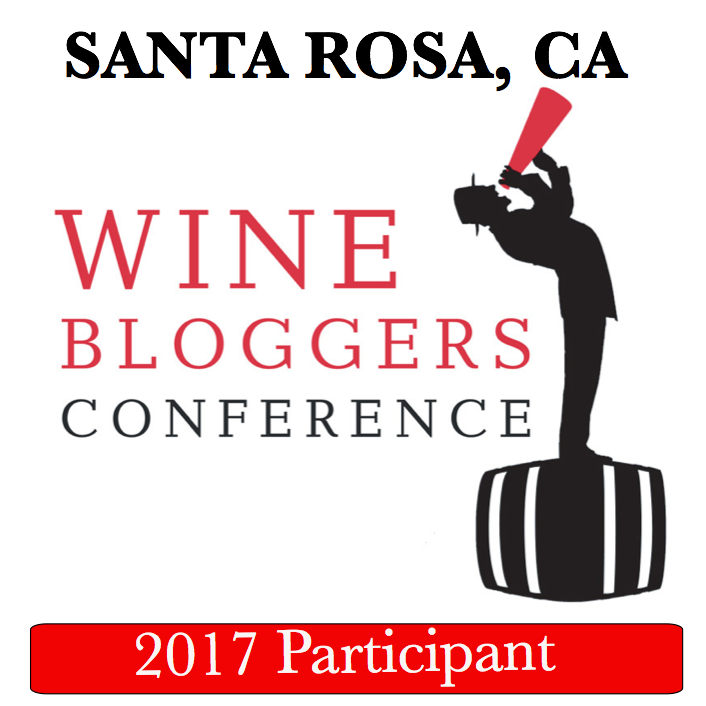 And I think anyone who is into the wine blogging should definitely attend WBC at least once. I haven’t been to Solvang since I lived in Santa Barbara in the 70’s. I’m sure it’s much bigger now. I remember a few wine tasting places, who I’m sure didn’t take kindly to a bunch of poor student hippies getting free samples! They were all fruit wines back then and pretty terrible. Not that I was any kind of connoisseur – not being a drinker of any kind back then. But it the town itself is half as adorable as it once was, it was worth the visit! The town is very adorable, and there are no fruit wines anywhere 🙂 Absolute majority of the wines we tasted were outstanding, and we really had a great time there. Sounds like a blast. Thank you for sharing. Wow It’s like the magical mystery tour, so cool. the wine sounds amazing, the town adorable what a great place to visit. I’ve seen the movie Sideways but don’t remember the Solvang references. Jon and I visited Solvang back in 2010 and really enjoyed ourselves! We went to Lion’s Peak, Presidio and Lucas and Llewelyn. We loved the town – I can’t wait to visit again! Sounds like you got on the right bus. Yes, this happened to be the right bus and we had a great time! Thank you Tracy – we had a great time! Thank you Laura! If my travel will take me anywhere in the area, Solvang is definitely on my list!